Note: Full fact sheet with real-time transcription videos is available. In the early 1880s, three inventors—Alexander Graham Bell, Chichester Bell and Charles Sumner Tainter, collectively making up the Volta Laboratory Associates—brought together their creativity and expertise in a laboratory on Connecticut Avenue in Washington, D.C., to record sound. In one experiment, Nov. 17, 1884, they recorded the word “barometer” on a glass disc with a beam of light. This disc and about 200 other experimental recordings from their laboratory were packed up for safekeeping, given to the Smithsonian and, with a few exceptions, never played again. 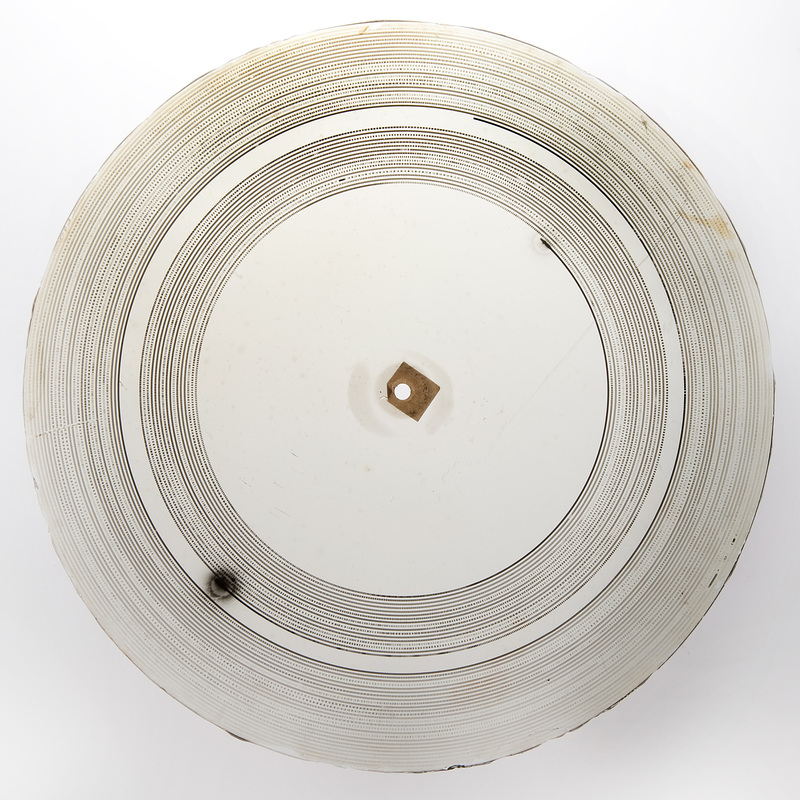 The museum’s collection has about 400 of the earliest audio recordings ever made, including the 200 from Bell’s Volta lab. A reflection of the intense competition between Bell, Thomas Edison and Emile Berliner for patents following the invention of the phonograph by Edison in 1877, these recordings, along with supporting documents, were offered to the Smithsonian by each inventor in his lifetime. Now, through a collaborative project with the Library of Congress and Lawrence Berkeley National Laboratory, the mystery of what is on these recordings is being unraveled. 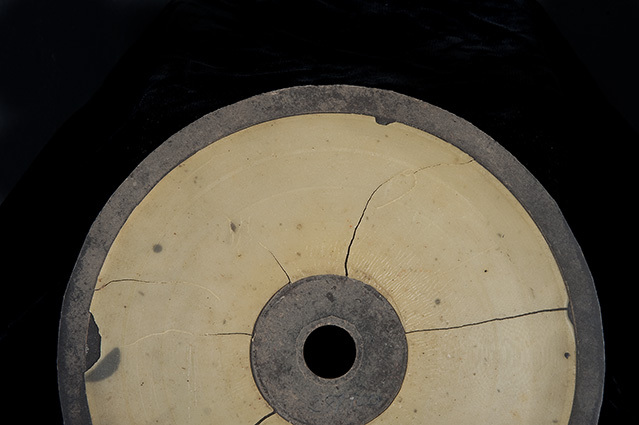 To date, the team has successfully submitted six discs—all experimental recordings made by the Volta Laboratory Associates between 1881 and 1885—to the sound recovery process. 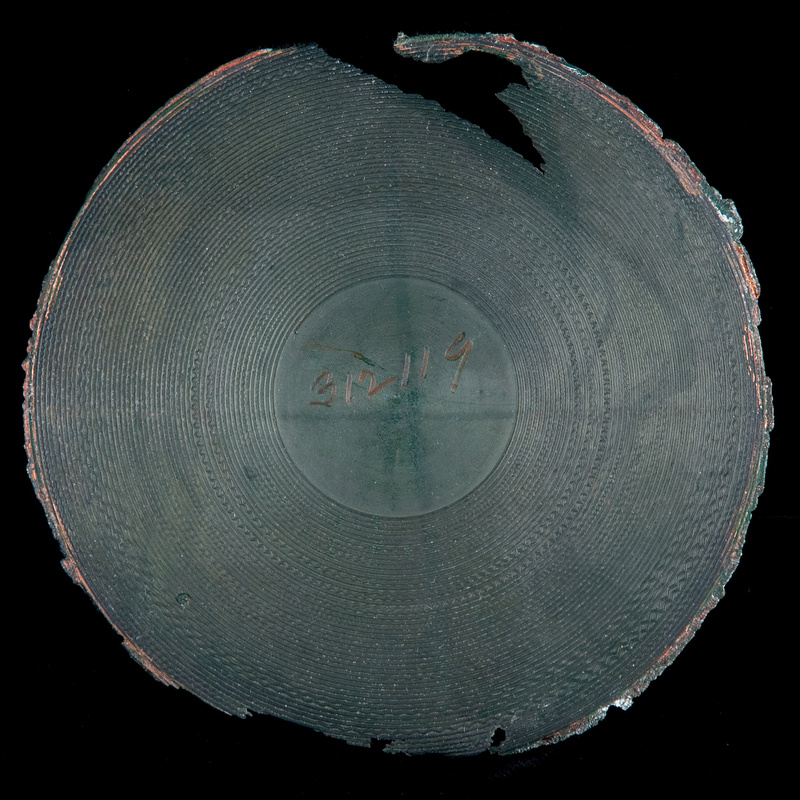 The recordings in the museum’s collection are in fragile condition due to their age and experimental nature. Until now, the technology to listen to the recordings without damaging the discs and cylinders was not available. The noninvasive optical technique used in this project to scan and recover sounds was first studied by Berkeley Lab in 2002–2004 and installed at the Library of Congress in 2006 and 2009. The process creates a high-resolution digital map of the disc or cylinder. This map is then processed to remove evidence of wear or damage (e.g., scratches and skips). Finally, software calculates the motion of a stylus moving through the disc or cylinder’s grooves, reproducing the audio content and producing a standard digital sound file. For more information, visit www.irene.lbl.gov. 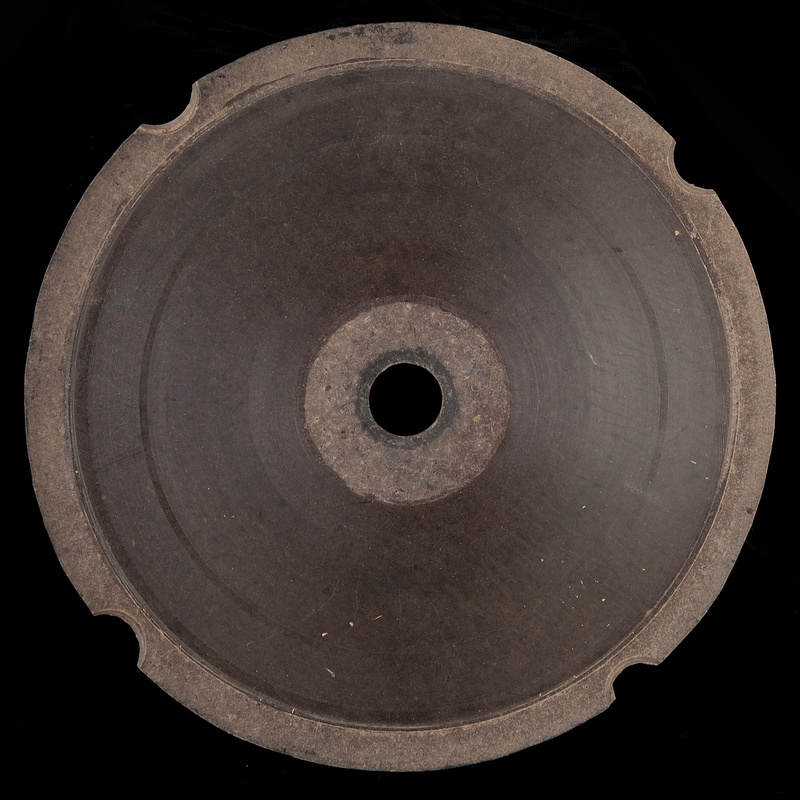 Recovering sound from the six Volta discs is the first step in an ongoing project to preserve and catalog the museum’s early recording collection and to provide increased access to the collection and its contents for both the academic community and the public. 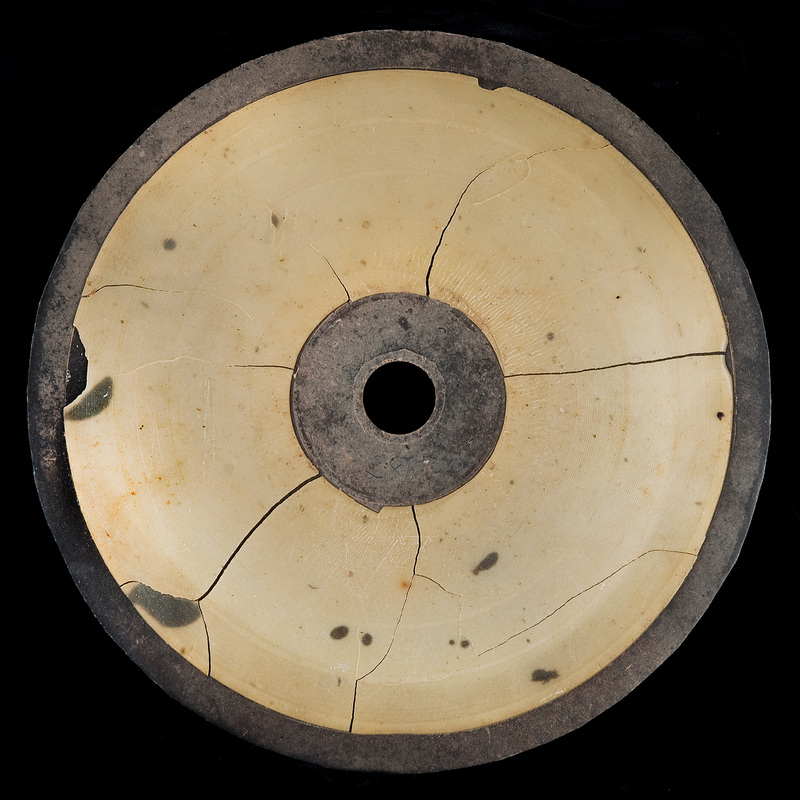 The content of the recordings, studied in conjunction with the innovative nature of the physical discs and cylinders, provides insight into a variety of topics—from the invention process of these well-known 19th-century labs to speech patterns of the late 19th century. This project has been made possible with funding from a variety of sources. The National Museum of American History received a special preservation grant from the Grammy Foundation and support from the museum’s Jackson Fund. The museum is looking for additional funding to continue the examination of other recordings in its exceptional collection. The Institute of Museum and Library Services provided funding to Berkeley Lab through a grant to further develop the optical scanning technology and bring it into use in support of collections and special projects around the world. The Library of Congress, the nation’s oldest federal cultural institution and the largest library in the world, holds nearly 147 million items in various languages, disciplines and formats. The Library serves the U.S. Congress and the nation both on-site in its reading rooms on Capitol Hill and through its award-winning website at www.loc.gov. Lawrence Berkeley National Laboratory addresses the world’s most urgent scientific challenges by advancing sustainable energy, protecting human health, creating new materials and revealing the origin and fate of the universe. Founded in 1931, Berkeley Lab’s scientific expertise has been recognized with 13 Nobel prizes. The University of California manages Berkeley Lab for the U.S. Department of Energy’s Office of Science. For more, visit www.lbl.gov. The National Museum of American History collects, preserves and displays American heritage in the areas of social, political, cultural, scientific and military history. To learn more about the museum, visit http://americanhistory.si.edu. For Smithsonian information, the public may call (202) 633-1000, (202) 633-5285 (TTY). 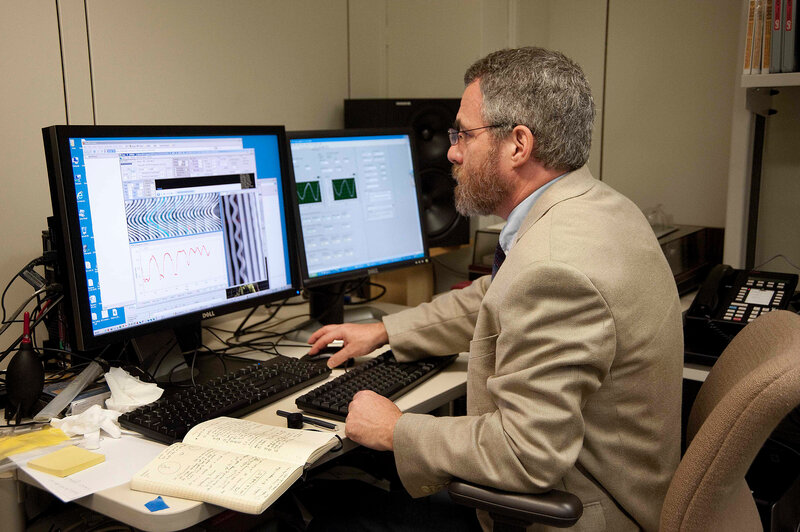 Experimental physicist Carl Haber of the Lawrence Berkeley National Laboratory, working in a newly designed preservation laboratory at the Library of Congress, analyzes audio extracted from Smithsonian provided recordings made more than 100 years ago in Alexander Graham Bell's Volta Lab. 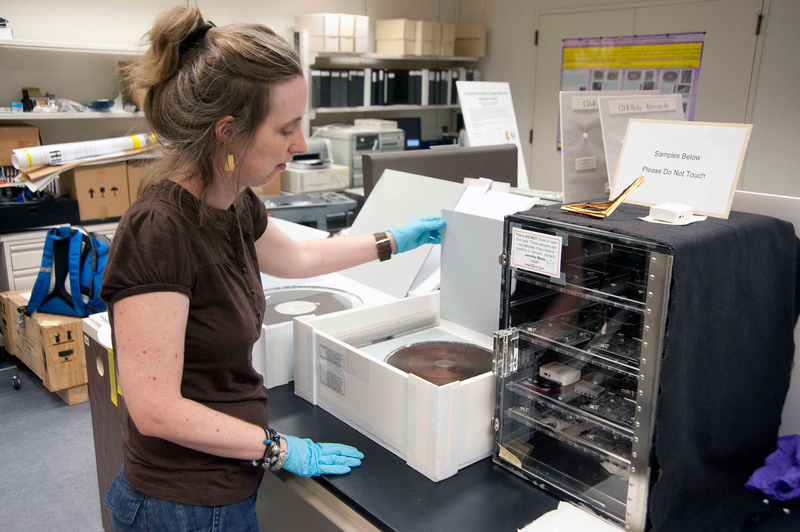 National Museum of American History curator Carlene Stephens examines a glass disc recording containing the audio of a male voice repeating “Mary had a little lamb” twice, made more than 100 years ago in Alexander Graham Bell's Volta Lab. 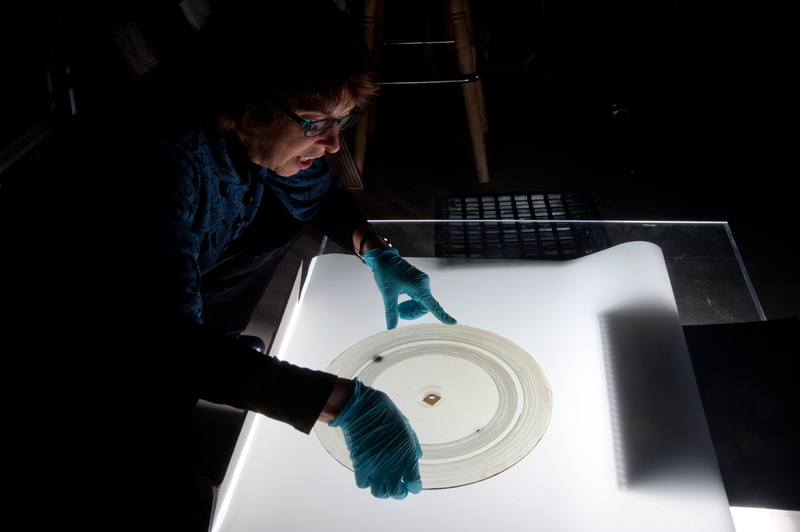 National Museum of American History curator Shari Stout examines disc-shaped recordings made more than 100 years ago in Alexander Graham Bell's Volta Lab. 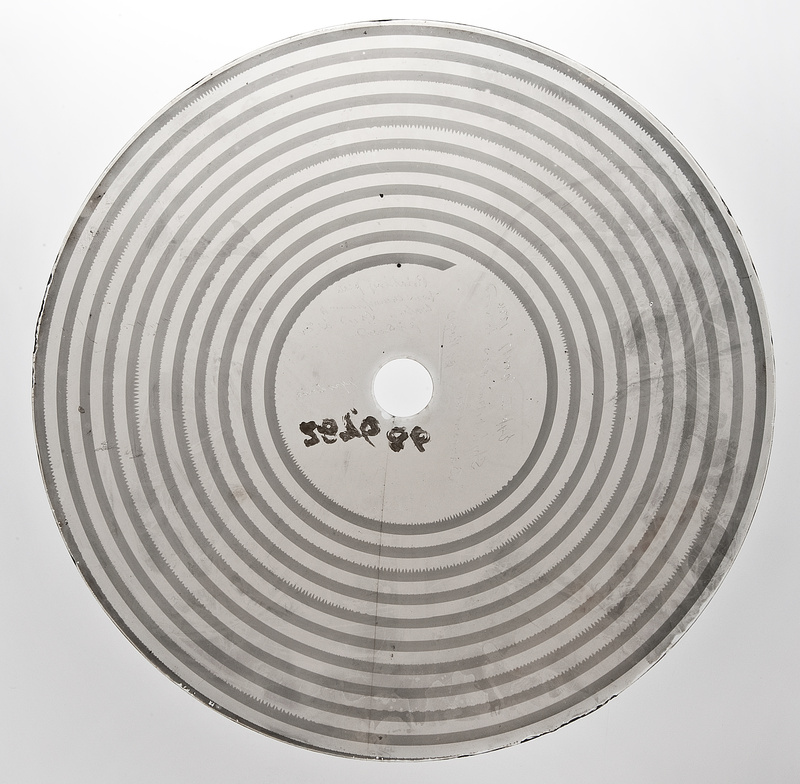 Electrotyped copper negative disc of a sound recording, deposited at the Smithsonian in October 1881 in sealed tin box. 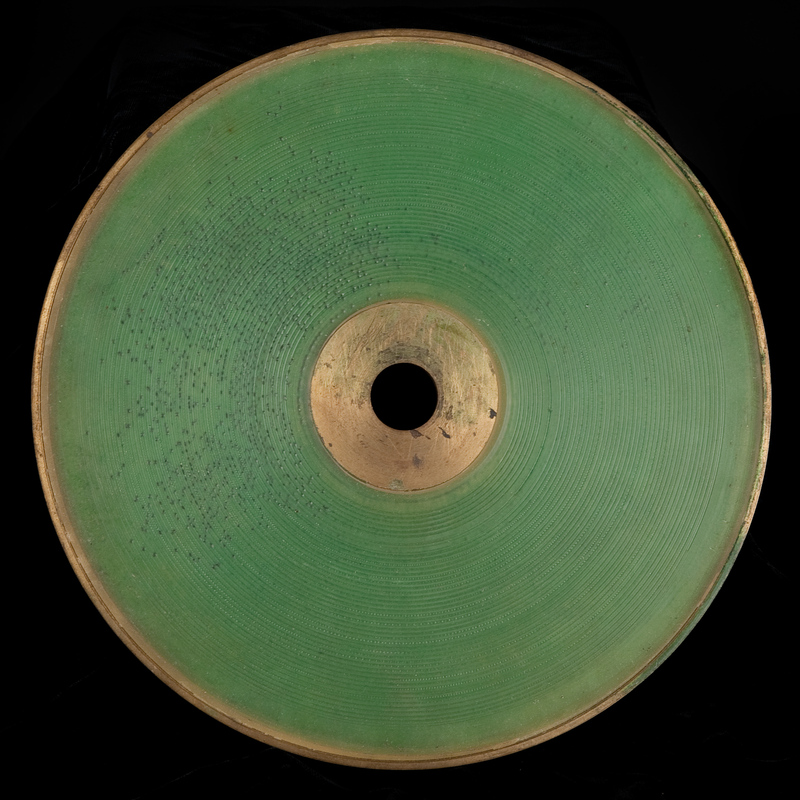 Disc recording in green wax on brass holder, probably 1885.